LONDON, April 16. /TASS/. Deployment of UK’s attack helicopters in Estonia and statements about “deterring Russia” represent another deliberate provocation, the Russian Embassy in London said on Tuesday. “We are closely following UK’s active participation in the NATO program of expanding military presence in Eastern Europe. In our opinion, deploying another batch of helicopters in Estonia and statements about ‘deterring Russia’ represent another deliberate provocation. These actions reflect London’s plans to keep the topic of ‘aggressive’ Russia afloat in pursuit of their immediate interests. Any available instruments and platforms are utilized for this goal, and NATO is no exception,” the Russian embassy said. The embassy noted that realization of not being able to use NATO for other causes “led to the decision to return to the origins, that is consolidating Western countries around confronting a common imaginary threat.” “However, in this sense, NATO’s ‘achievements’ militarization of Europe, fanning tensions, co-participation in destroying the foundations of strategic stability do not in any way contribute to fulfilling the main task of any military association to ensure security for populations of member countries,” the Russian embassy added. “We consider [UK Defense Secretary Gavin] Williamson’s recent anti-Russian attack as further evidence that NATO’s main focus is on fighting the mythical ‘threat from the East’ while NATO officials are trying to convince us otherwise,” the embassy concluded. 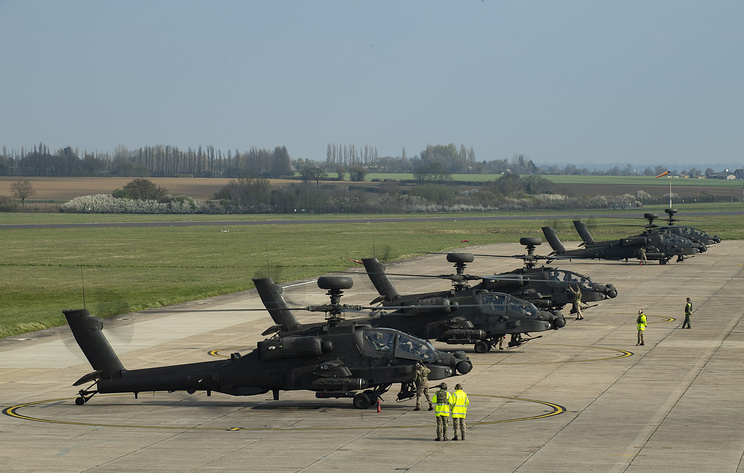 On April 15 the UK announced deployment of five Apache attack helicopters in Estonia in the framework of NATO’s program on expanding its military presence along Russian borders. UK Defense Secretary Gavin Williamson said that London sees Russia as a threat. Hey Buddy!, I found this information for you: "Russian embassy says deployment of UK’s helicopters in Estonia is “another provocation”". Here is the website link: https://russophile.org/russian-embassy-says-deployment-of-uks-helicopters-in-estonia-is-another-provocation/. Thank you.